"From the minute this alpaca dried off after birth, his fleece looked like crushed velvet. SHINE GALORE! Plush, soft, true-black, everyone wanted to rub their face against him. He has retained all that fineness with tiny, ultra high-frequency crimp, and density that grew in profoundly with his flood of new-growth secondary fibers. Add the coverage on his head and toes -- like we all dream of in dark color -- and what a package for anyone breeding fineness into their color program without sacrificing density. Both his dam and sire are dark in color and have the lingering fineness that is a new industry target, and now that Crush is almost 4 years old, we can tell he's got it, too! We improve our color program by breeding to our higher end whites and fawns first, usually for a couple generations, and have been waiting for that perfect black herdsire from two dark parents to take the progeny of those crosses back to, and Crush will reset the color now without sacrificing fineness or density. We celebrated at his birth because he was a BOY, the very one we had been waiting on to frost our color program with!!! As he grew up, we fell in love over and over with his fleece, and now EVERYONE HAS A CRUSH ON CRUSH!!" Crush has several babies on the ground and they are all displaying his wonderful fineness. 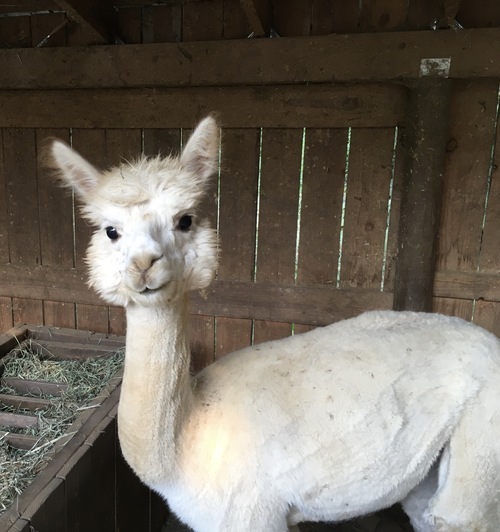 A sweet adorable loving disposition, one can't help but want to give this girl a hug, and once you do, you won't want to let go of her very soft handling fleece! Lily also has great staple length, and medium frequency crimp. Her background includes the famous My Accoyo Peruvian Dionysus, PPPeruvian Mr. President and PPPeruvian Royal Fawn. Blossom is one of the last The Velvet Crush daughters! She has a humorous and sweet personality always jumping for joy when new hay and grain is being brought in. She has good staple length to her fleece as well as good crimp character. It is a soft handling fleece as well. With every alpaca purchase we promise to be there to answer any questions you may have. If we do not know the answer we will find it! Also for new farms we include a farm kit! Ask us about it! 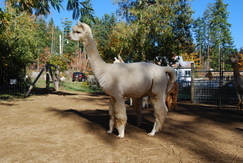 We are also able to offer boarding of alpacas purchased from us while you get your farm ready. We do offer creative financing options. Please give us a call and let us help you finance your purchase! Is it our policy to not sell one lone alpaca unless he or she is going to an established farm with other alpacas. Alpacas are a herd animal and they like to be around other alpacas. Ask us about a package deal of two or more!